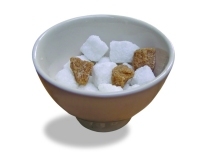 The LGC SUPS scheme is suitable for all laboratories who analyse sugar and sugar products. The quality of sugar has to be continually maintained, because in addition to its sweet taste it brings additional benefits to the foods and beverages it is used in, such as improving texture, enhancing flavour, providing consistency, providing natural preservation and many more. ICUMSA representatives are involved in the review of progress and performance of SUPS and provide advice on the operation and future developments of the scheme. Participating in SUPS will provide data to help identify performance issues with methods used and will underpin the quality of the analytical results used to inform the commercial decisions about the product.